The orchestra program at Minnetonka Middle School East and West involves nearly 250 orchestra students in grades six through eighth grade. The program includes grade-level orchestras, which rehearse every other day during the school day. 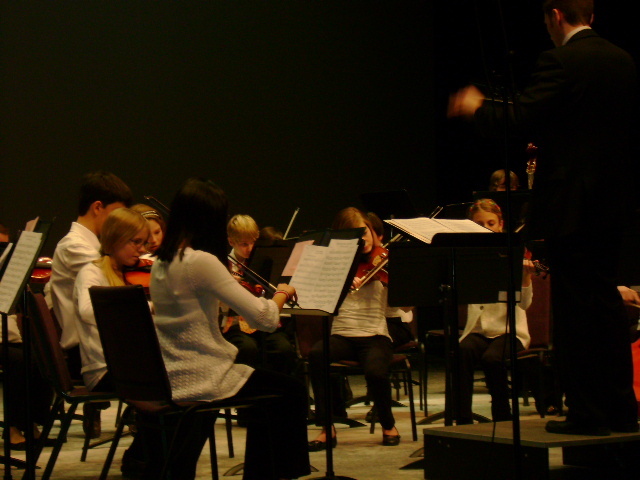 Students have the opportunity to participate in outside school groups such as Minnetonka Fiddlers, District Middle School Honor Orchestra, and small ensembles. Students also have the option of participating in the annual Fall Orchestra Camp that takes place over a full weekend in late-October at the YMCA Camp St. Croix in Hudson, Wisconsin. The 7th and 8th grade orchestras have consistently earned “Superior” ratings at the Minnesota String Teacher Association (MNSOTA) Middle Level Orchestra Festival. In addition, each year, several 7th and 8th Grade Minnetonka students audition for and are selected to participate in the MNSOTA State Middle-Level Honors Orchestra which performs at the Convention Center in Downtown Minneapolis. Many middle school students take private lessons outside of school and participate in area youth symphony programs including the Greater Twin Cities Youth Symphonies (GTYCS) and Minnesota Youth Symphony Orchestras. Michael Janning directs directs the seventh grade orchestra at Minnetonka Middle Schools East and West. He also directs the Minnetonka High School's String Orchestra and teaches International Baccalaureate Music at Minnetonka High School. Mr. Ericksen has set up a signup-genius for treats. If you are interested in bringing treats to future Minnetonka Philharmonic Orchestra rehearsals please go to this link (www.SignUpGenius.com/go/20F0C4DA9A92AA1FC1-rehearsal/3171954<http://www.SignUpGenius.com/go/20F0C4DA9A92AA1FC1-rehearsal/3171954>) the password is (mpo2014). 2 people can sign up to bring treats and one can sign-up to bring refreshments. Daniel Ericksen directs both sixth and eighth grade Orchestras at both Minnetonka Middle Schools East and West. He received a Bachelor of Music Education degree from Indiana University in Bloomington, IN. 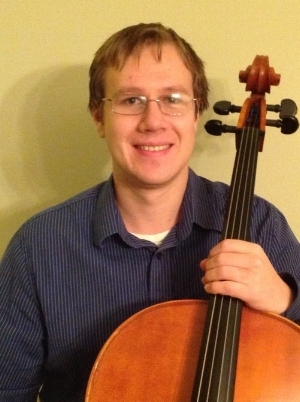 Prior to coming to Minnetonka Middle Schools he was subbing for schools around the twin cities and teaching cello privately. This past year he did a long-term sub position at Northfield Public Schools where he taught 6th-12th grade orchestra.